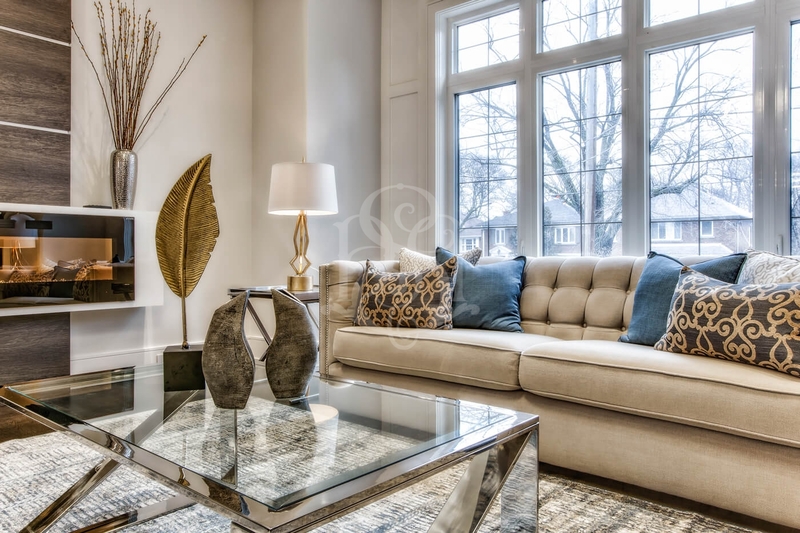 Home Staging in Scandinavian Style | Sanaz Design Inc. 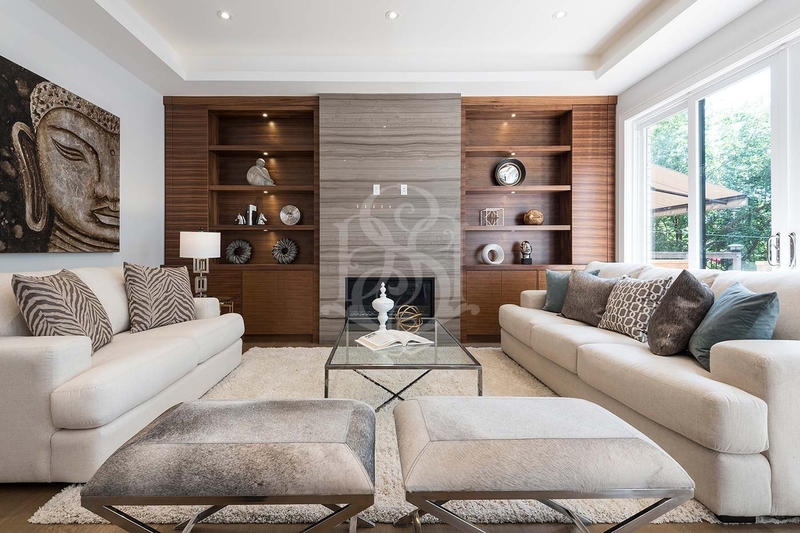 This client, who is also a reputable custom home developer in Toronto, executed high quality workmanship on this home. 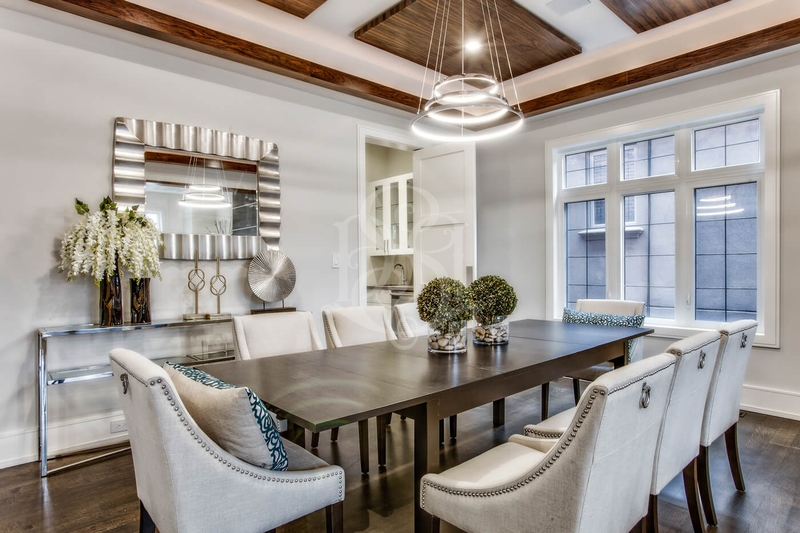 The outstanding finishings and structural details made it even more exciting and easy to work our magic! For this specific project, we were inspired by Scandinavian style. 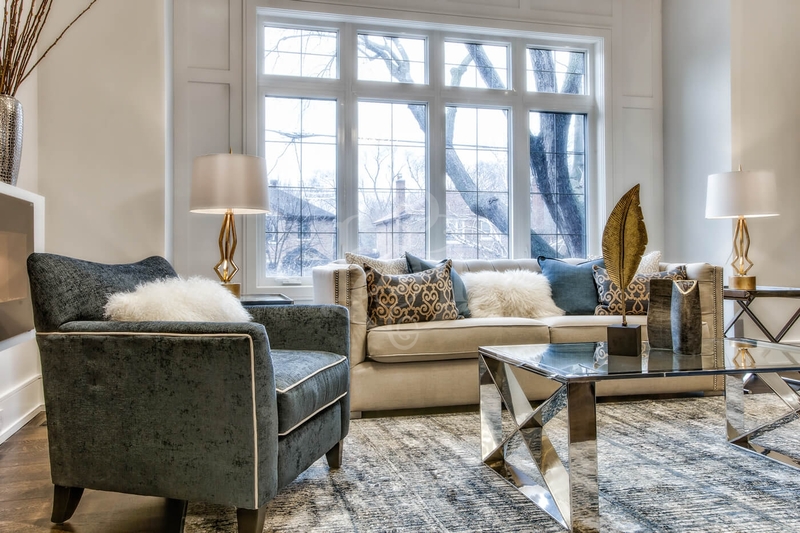 This type of style has been gaining more momentum in the design world today, and it is making its way into Canadian homes, and homes around the world! We kept the main tone of the interior in a neutral palette, and emphasized focal points of the home with bold colours. We achieved this by using some of our favourite, hand-picked furniture pieces in Midnight Blue Ultra Suede; and what better accent for Royal Blue hues? — Gold, of course! Scandinavian style is known for using natural materials found in nature. 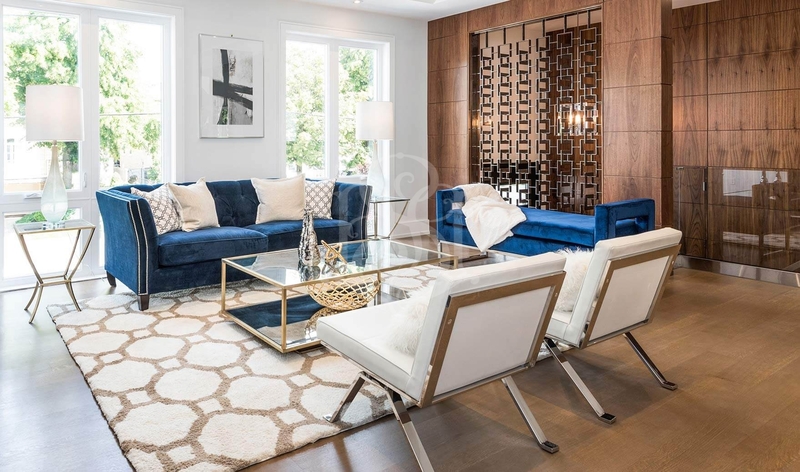 The beautiful walnut wood flooring was a natural pairing to our thoughtfully positioned gold and silver accents! To tie it all up, we used contemporary furniture characterized with straight lines that complimented the Scandinavian style interior. As a result, we were able to successfully combine simplicity, functionality, and modernism, with a clean and elegant style for everyone to love! Here’s a design TIP: Interior designs in Scandinavian styles are known to make any home look BIGGER, and BRIGHTER!